The Hiwassee River is located in the extreme southeast corner of Tennessee in the Cherokee National Forest and has been a long time favorite destination for fly anglers from across the country. 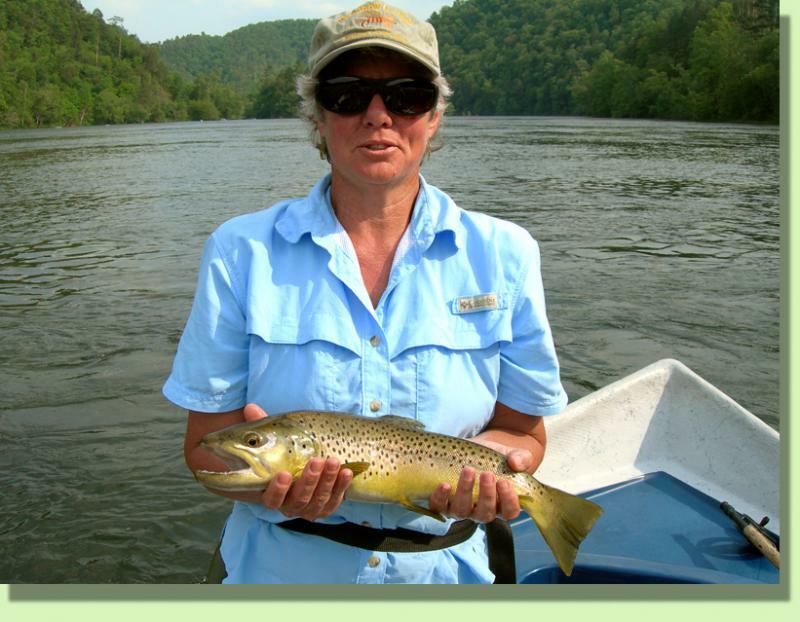 The Hiwassee is famous for it's dry fly fishing opportunities that occur year round. It's also one of the most beautiful trout rivers in the south. The river is fishable year round, but there are preferred times to target the trout there. Early spring is a prime time to visit due to the large array of insects that hatch in the spring. The "busy" season is from early May - August when the sulphurs and isonychias are hatching in earnest. October and November offer a nice change to the summer heat and now features the start of the Delayed Harvest program. Special fly fishing memories were taking place on the Hiwassee long before the fly fishing revolution of the early 90's. In fact, drift boats have been common here for a long time. The heavy whitewater and sharp rock shoals of the Hiwassee demand a great oarsmen in a responsive boat. Drift boats were a perfect fit. Taking a guided drift boat fly fishing trip down the Hiwassee River is truly a special experience. The settings are unrivaled and at times the dry fly fishing can be the best you've ever seen. And it all takes place from the comfort of our drift boats. The Hiwassee River is located an hour east of Chattanooga and only a little more than 2 hours from Atlanta. The area has an abundance of other activities to enjoy during your stay. Rafting, hiking, hunting, antiquing plus many other activities are close by. The area also boast an impressive amount of campgrounds, cabins, and lodging. The Hiwassee River corridor falls in the Cherokee National Forest, and lies primarily on public land. Many access areas, picnic tables, restrooms, campgrounds, and improved boat ramps are featured along the entire tailwater.